It is our pleasure to announce the 9th annual Heather’s Ride cycling event. The ride will start and end at Lake Afton on Sunday, July 14, 2019. All proceeds from the ride will go directly to Heather’s Camp. Heather’s Camp is a program devoted to providing a summer camp experience to youth who are vision impaired. Heather’s Camp was founded in 2001 in conjunction with the Delta Gamma Chapter of Wichita State University to honor the memory of Heather Muller. Heather’s Camp is a private, 501(c)3 non-profit organization, committed to providing youth with visual impairments an outdoor camping experience. 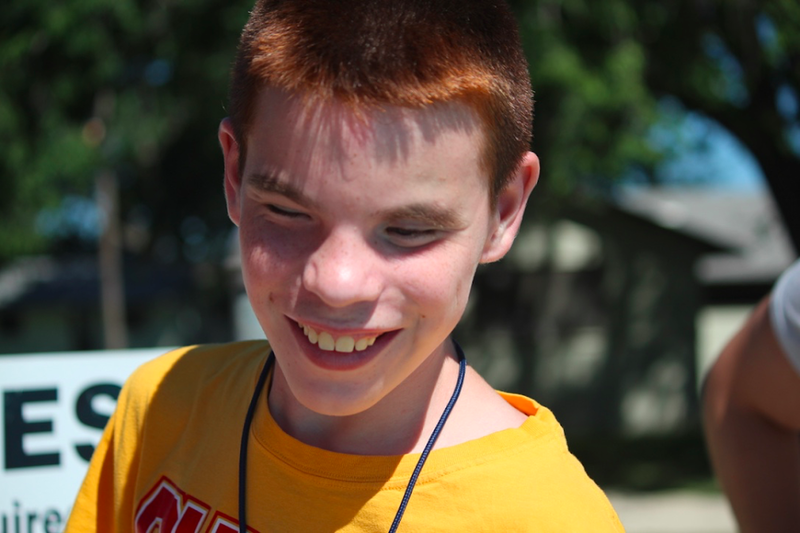 Heather’s Camp makes a positive difference in the lives of children who are blind or visually impaired by allowing them to build new skills, form friendships and benefit from increased self-esteem and self-confidence. Campers have the opportunity to form bonds with their counselors who also serve as mentors; the emotional support and bond continues to grow throughout the year. Most importantly, at Heather’s Camp children will not be called hurtful names. They will not be bullied, and they will not be considered “different than the other kids.” In the safe confines of Heather’s Camp, these children are just kids free to be themselves: to grow, to learn, and to have great fun in a safe and caring environment. Heather’s Camp relies solely on donations to fund all costs related to providing a wholesome camp experience for these children. Our volunteers offer their time, efforts, guidance and love each year to make the dreams of our campers a reality. In 2001 Heather’s Camp hosted 17 children with visual impairments. In 2018, we had nearly 70 registered campers and over 100 staff volunteers! As the camp continues to grow, we depend on the generous donations from fundraisers like Heather’s Ride to provide support for the mission of Heather’s Camp. Please help us to honor Heather’s memory so we can carry on her dream of helping others, like Savannah. Won’t you please make a contribution to the success of this year’s bike ride? As the Committee Chair for Heather’s Ride, I invite you to support our event as a Sponsor. Attached is an overview of Heather’s Ride along with sponsor benefits. I’ve also included a sponsor commitment form if you decide you would like to sponsor the ride. please contact me or visit heatherscamp.org for more information. Please contact me with any questions you have and I look forward to hearing from you! Thank you for your support! P.S. Looking forward to another year of great participation and sponsorship! · Four ride lengths: 10 mile, 25 mile ride, 50 mile and 75 mile. · Pre-registration along with day of event registration for cyclists. · Riders will enjoy SAG stops every 15-20 miles. · End of ride meal provided by friends of Heather’s Camp. Please include a check made out to Heather’s Camp. Donation and company logo must be received by April 21st, 2019 for Gold Sponsors and by May 15th, 2019 for Silver and Bronze Sponsors.